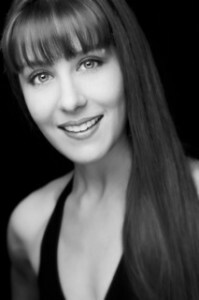 Lisa Juliet started her classical Ballerobica or ballet training when she was four years old, and continued all the way through college, where she minored in dance while pursuing her Bachelor’s in Molecular Biology at UC Santa Barbara. She started teaching ballet ‘accidentally’ when the instructor of a class she was taking at a local junior college went into labor early and needed someone to cover the class for the rest of the semester. This experience helped Lisa realize that she loved teaching the fundamentals of ballet to adults, so she continued throughout college. She took up kickboxing with some of her friends to learn self defense after some assaults had taken place on campus, which quickly developed into a love of cardio kickboxing as a fitness regimen. With her ballet training as a foundation, she found it easy to pick up martial arts moves with accuracy and precision, which led to her teaching kickboxing after obtaining her Group Fitness Certification from the American Council on Exercise. Lisa went on to get her Master’s degree in Business and Finance and relocated to work as a biochemist doing cancer research as well as managing the Analytical Chemistry, Immunochemistry, and Molecular Technology departments for a major pharmaceutical research company. She continued her own fitness regimen but no longer had the time to teach. She had begun to develop her own version of Ballerobica after she stopped seeing the results she once saw from her kickboxing and martial arts training. Ballerobica is best described as a hybrid between kickboxing and ballet. It sounds a bit odd but the combination really does fit together well. There is cardio (non-impact, low impact, high impact), strength training/conditioning, and stretching which is great for overall flexibility. In 2008, as the economy took a turn for the worse and Lisa began to contemplate her own life goals and true passions, she decided to focus on ballet based fitness. Filing for her business license in 2008, she started teaching Ballerobica in Reno, NV. She rented a small studio and relied entirely on word of mouth advertising. Her classes started small, but once the buzz started, she consistently had classes of 20 or more. It was during these classes that Lisa refined the Ballerobica method. The Ballerobica DVD is a compilation of the most accessible, well-received, and effective combinations for cardio, toning, and flexibility. The biggest concern people have when starting Ballerobica is that it will be too hard for them, especially if they do not have previous ballet training. Lisa has designed and refined this program to be accessible to anybody, regardless of their dance background or fitness level. The DVD contains explanations of correct posture and form as well as modifications to adjust the level of difficulty based on the desired level of intensity. After years in the fitness industry, Lisa realized that while group fitness is very motivating, it is difficult for people to attend classes consistently. It is common for people to start classes highly motivated, but as time goes on, they are unable to attend as often and end up feeling disappointed with themselves. Fitness should be fun and motivating, and instead it often seems like a chore. People have children, families, and work to deal with. They are either too tired to get to class, or have other obligations to attend to. It’s not that they don’t want to have a healthy active lifestyle; it can just be too challenging to incorporate classes into their daily routine. With this in mind, Lisa designed Ballerobica to be done at your convenience, not a studio’s schedule. She also designed it so that no additional equipment is needed and it can easily be done in the space of your home. The video is a way to offer people an alternative to working out in a studio. Some people are apprehensive to try new things for fear that they won’t be able to catch on, or will make fools of themselves, especially when choreography is introduced. Lisa hopes that the Ballerobica DVD will give people the confidence to try something different and to be exposed to the concepts of ballet in a non-intimidating, non-traditional environment. Because so many people who try Ballerobica find that they really want to learn classical ballet, Lisa has created two new DVDs, Introduction to Ballet and Beginning Ballet. Her goal is to have a complete range of Ballet and Ballerobica classes ranging from beginning to advanced available on DVD. The Ballerobica DVD is about 70 minutes, which includes the tutorials/ modifications. You can do the workout without the tutorials once you understand the correct form, or you can choose specific sections, i.e. cardio, conditioning, or stretching based on your time limitations or fitness goals. Ballerobica was designed to contain no weights or equipment, however if you love lifting you could easily incorporate a pair a small hand weights/dumbbells (5 lb. maximum) into most sections. Lisa sees Ballerobica as a bridge that connects the world of fitness to the world of ballet. If you used to do ballet as a child you will find familiarity with Ballerobica and it make even re-spark a love you once had. If you always wanted to be a ballerina but never thought you could, especially as an adult, then Ballerobica is probably a great introduction for you. You can test the waters in the comfort of your own home. © 2019 by Discover True You, Inc.